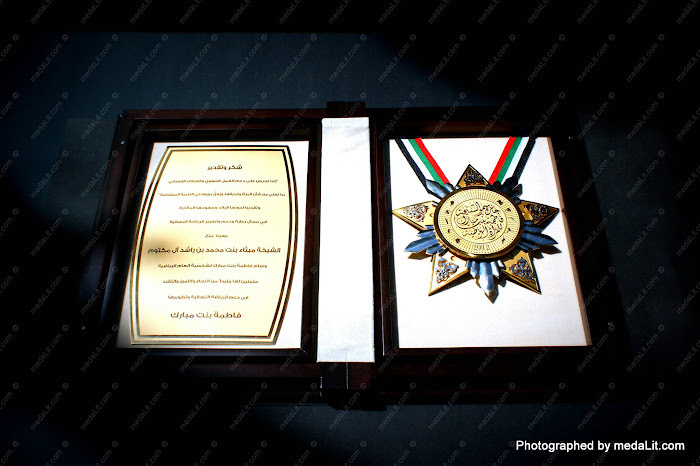 The Absiclusive Ultimatum Decoration is composed of 3 layers, a gold plated medal carrying the main impression is mounted on a combination of a silver-plated and gold-plated stars forming the ultimate decoration someone can receive. A ribbon with a color that you can choose to reflect your ID complete the decoration. A highlighted gold plated custom engraved plaque is mounted on the left side of the decoration carries your message and commemorating your great moment. All pieces are crafted with the ultimate care to produce a highly finished award that you will be proud of and that will capture the admiration of the beholder.